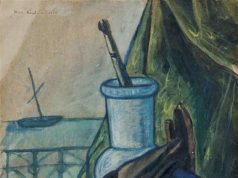 As it has come up on over a year since Faith Shattered and Restored: Judaism in the Postmodern Age introduced many English-speaking readers to the writings of Rabbi Shagar, and, specifically, his grappling with Jewish Orthodoxy in the Postmodern moment, it may be an opportune time to revisit The Lehrhaus discussions generated by its publication. What has replaced Modernity is Postmodernism, which exists as “an intellectual, social and cultural movement.” More precisely, Postmodernism begins as a genre of philosophy, extending to popularized social, or political, and cultural offshoots. Modern Orthodoxy first comes into contact, and conflict, with Cultural Postmodernism. Cultural Postmodernism, as relayed by Rabbi Gil Perl on the basis of extensive interaction with students, is characterized by relativism, it reflects a “lost faith in the idea of a cohesive world with a single, comprehensive meaning, a world governed by a clear and consistent set of principles.” As Rabbi Perl observed, “see[ing] the world through a very different lens than that of their parents…students coming of age seeped in a postmodern cultural milieu [struggle] to find guidance in learning to live with the questions.” Rabbi Perl suggests that by offering “a glimpse into what exactly Postmodern Orthodoxy might mean,” Rabbi Shagar offers an effective approach to engaging Modern Orthodox Millennials. Rabbi Perl’s suggestion was met with three lines of response. For Rabbi Rafi Eis, Postmodernism is entirely misbegotten – it “correlates with increasing rates of mental illness” and “corrodes the human psyche” – no educator, let alone a Jewish one, ought dabble in it. On the contrary, our responsibility, as frum Jews in these degenerate times, is not to merge or reconcile, but to set a counter-cultural model. 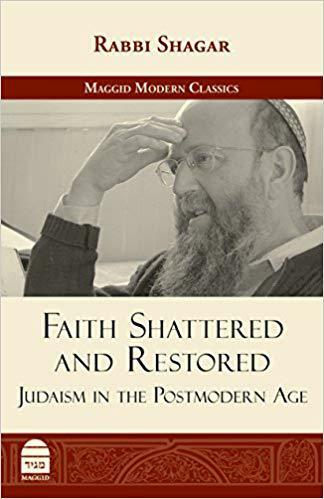 Rabbi Shalom Carmy aligns with Rabbi Perl in viewing Rabbi Shagar as a much needed “master diagnostician of the human soul under postmodernism,” and Rabbi Gidon Rothstein articulates openness, within parameters, to a Postmodern Orthodoxy. Both, however, stress that the subjectivism inherent in Postmodernism stands in “total opposition” to the Objective Truth that is the Torah. The question of whether Rabbi Shagar’s teachings can, or should, be put to pedagogical use, is separate from the question of whether they are fully consistent with Amitah shel Torah — mitokh she-lo lishmah ba lishmah. Still, a teaching can be used for pedagogical purposes only if it can lead to Torah Observance. A primary concern of Rabbis Carmy and Rothstein is that the subjectivity inherent in Rabbi Shagar’s teachings does not, in the end, or writ-large, lead to the halakhic Life. But is that so? The difference in generational lens that Rabbi Perl describes, can perhaps be summarized along these lines: Where past generations may have sought truth, the new one seeks meaning and community. Or rather: Where past generations sought truth, as measured by proof and evidence, the new one seeks truth, as measured by richness of meaning and connection to community. As all of us who live, or aspire to live, halakhic lives agree that they offer abundant meaning and deep communal bonds, there should be no question that the latter lens can support a compelling basis for halakhic adherence. To be sure, as summarized by Rabbi Truboff and Rabbi Dvorkin, Halakhah under Postmodernism, while bound by internal logic, is more natural and interpersonal than academic or systematic. But that may well represent a return to, rather than rejection of, traditional norms. Rabbi Eis believes so. He is certainly not alone in his carefully documented fundamental objections to Postmodernism; he stands with contemporary political conservatism, athwart history, yelling “Stop!”. While that may be a noble stand, it forces Modern Orthodoxy into an awkward position. Authentic engagement between Torah and any contemporary culture entails danger and has thus always engendered controversy. Criticisms of Rabbi Shagar can be seen to trace in form, if not intensity, historical controversies surrounding Moreh Nevukhim. Modern Orthodoxy risks devolving into a more Zionist Haredi-ism, on one hand, or Social-Orthodoxy, on the other, if it cowers rather than face them. It is in this, its social, or political, framing – which, as often formulated, calls Authority, as much as Truth, into question – that Postmodernism seems most inconsistent with Torah norms. A frum Jew cannot treat, or suspect, the Authority of the Mesorah as being formed or sustained in order to hold power over others. Still, the postmodern political project which, as generally expressed, seeks to “deconstruct” (traditional) Authority in order to cultivate (historically) suppressed voices is very much in the spirit found in, or even founded by, the call to social justice of Deuteronomy 16:20 and concern for the marginalized demanded by Exodus 22:21. While contemporary Orthodoxy may stand on the principle that Judaism cannot be reduced to social action, it is hard to see how a Modern Orthodoxy that seeks authentic engagement with contemporary culture could fail to also meaningfully incorporate it. Be that as it may, or to put the political aside, is the Postmodern “disrobing of objective truth” radically inconsistent with Orthodoxy? Dr. Feldmann Kaye raises the remarkable suggestion “that the marriage of objective absolutism and Jewish belief was a category error, one which we are only now beginning to unravel.” She suggests the argument that the notion of objective truth is Greek in origin, and postdates the establishment of Jewish civilization. Or, to restate: Postmodernism may surface, but doesn’t create, or cause, a set of problems. Rabbi Carmy describes himself as comfortable, or at least resigned-to, accepting things as not-ideal and moving on. What Rabbi Carmy avoids, Rabbi Shagar acknowledges and – this seems to be the point of contention – embraces. In either case, the elephant – Religious Truth’s inability to measure up to the objectivity of Scientific Truth — remains in the room. To add personal color: I experienced with Rabbi Perl, “the cultural climate of a university campus at the turn of the millennium, with its unrelenting emphasis on deconstruction and relativism, its wholesale embrace of previously countercultural social mores.” For me, coming from a more Haredi milieu, this climate, at least intellectually, resonated (at the time, I might have said “shtimmed”) with, rather than challenged, my Yeshiva education. For example: Deconstruction was introduced as the notion that the meaning of a text wasn’t limited to authorial intent which, in turn, brought readily to mind a Yeshivish joke (which itself mirrored Menahot 29b) involving Rambam meeting Reb Chaim Brisker in Gan Eden, complimenting him on the latter’s creative readings of Mishneh Torah, but insisting they had absolutely nothing to do with anything he meant. More substantively, from Seder to Seder the meaning of a line in Rashi or Tosafot could be, as prescribed by Ben Bag Bag, thoroughly rotated and inverted. (Later in life I encountered Levinas’ pregnant description: “the process of rubbing the text to make it spurt blood,” “to arrive at the life it conceals.”) Elu ve-elu, was understood to mean, not just, as Rabbi Rothstein would have it, that all these differing and conflicting potentialities each “captured elements of truth”, rather that they each stood, independently, as Emet La-Amitah shel Torah. Which is to say that Torah Truth, so far as we can make out, can be fractured and conflicting. 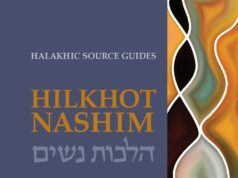 While this “pluralism” was not without limits – hiddush, central to the activity within the Beit Midrash, was understood to be Asur min Ha-Torah without – there is no questioning the place of Talmud Torah within any Torah perspective. Rabbi Perl astutely locates a nexus in Halakhah-as-a-model. Halakhah, in the context of my yeshiva education, was less than an afterthought. The codification of Halakhah was viewed as, at best, et la’asot; it is only unfortunate necessity that compels collapsing the universe of conflicting meaning hovering above the Talmudic text – its shiv’im panim – into one, narrow, authoritative halakhic norm. The halakhic system was seen, not as some paragon of systematic determinism, but as, to some degree, localized and arbitrary. Or, more precisely: one found Halakhah not by systematically applying logical rules, but in aseh lekha rav and the physical activity of consulting a posek. One was bound to Halakhah, not by the force of its logic, but by the manner Halakhah, in turn, links to Community and Mesorah. To recall the old controversy: Da’at Torah is plainly inextricable from this halakhic process (a posek, in the absence of deterministic guidance, ultimately has no alternative but to rely on his sense of Da’at Torah in order to pasken), in a way that the Modern Orthodox, with their protractors, could never grok. Above all: the encounter with Postmodernism, for me, was a breath of fresh air, disarming the cultural pressure to demonstrate, or prove, my faith, for which there was never authentic response, while emphasizing and valuing precisely what my yeshiva education emphasized and valued. I later came to understand that this was no coincidence: Philosophic Postmodernism arose, in part, as a rebellion against the stricture of the same Scientific-Objectivity that ensnarled religion. Faith Shattered and Restored, 43. Emmanuel Levinas, “The Temptation of Temptation ,” in Nine Talmudic Readings, trans. Annette Aronowicz (Bloomington: Indiana University Press, 1994), 46. Leo Strauss, “Preface to Spinoza’s Critique of Religion,” in Jewish Philosophy and the Crisis of Modernity: Essays and Lectures in Modern Jewish Thought- Leo Strauss, ed. Kenneth Hart Green (Albany State University of New York Press, 1997), 172.